Though it does have the dubious distinction of being the setting for Hitchcock’s 1963 thriller The Birds, it’s Bodega Bay’s rugged beauty that has everyone flocking to its windswept shores. The town’s miles of sandy coves are separated by rocky bluffs—the headlands as jagged as puzzle pieces, with giant boulders strewn about in the churning surf. A romantic itinerary for the ideal couples vacation through wine country in Northern California. Sonoma County is one of the most iconic wine regions in the United States. It’s the type of destination that’s ripe for a romantic road trip. Couples can sip and swirl their way through the winding roads and wineries, yet still get a taste of trendy restaurants and culture. In the latest edition of Prime Living magazine, writer Robin Barr Sussman takes you on a multi-state journey to experience cheese trails. Sonoma County.com assisted her with the Northern California portion of her visit, which resulted in including Marin French Cheese, Cowgirl Creamery, and Vella Cheese in the coverage. It’s one of those place the “it’s worth it the journey,” in the full meaning of the expression. And they are by rights in the top ten of what to see in Northern California, above all if you are going to explore the north to be swallowed up by fairytale views dropping straight to the sea, discover unexpected Redwoods forests and enjoy the savors and the smells of the sweet and luxuriant hills of the Sonoma County. The sparkle that characterizes Sonoma County keeps getting brighter, boosting Northern California’s appeal to visitors. Air-travel options are on the rise, new hotels are popping up while others are expanding or being reinspired, and a new commuter train is getting ready to roll out. It’s easy to see why California is a blessed state in the union. Sunshine, coastline, mountains, valleys – it’s gorgeous. And then there’s the food and wine. If California is the state that just keeps on giving to travelers and locals, then the rolling hills, vineyards, and valleys of Sonoma County are the sweet cherries on a fantastic Cali sundae. Nestled in the picturesque foothills of Sonoma County’s esteemed wine country, the Green Music Center at Sonoma State University offers an exciting new location for an event where Sonoma County’s top winemakers, growers and chefs come together to celebrate the region’s finest wine and food. Where is the best bakery in Sonoma County? The best place to watch the sun set? The best place to drink beer with your dog? When Lizzie Simon first visited Santa Rosa with her husband, the New Yorker was always looking for a guidebook that would point her toward some of these small, offbeat adventures. But that book was elusive as a warm day on the Sonoma Coast. Slowly, surely, more and more women are running their own vineyards—and changing the way our wine is made. 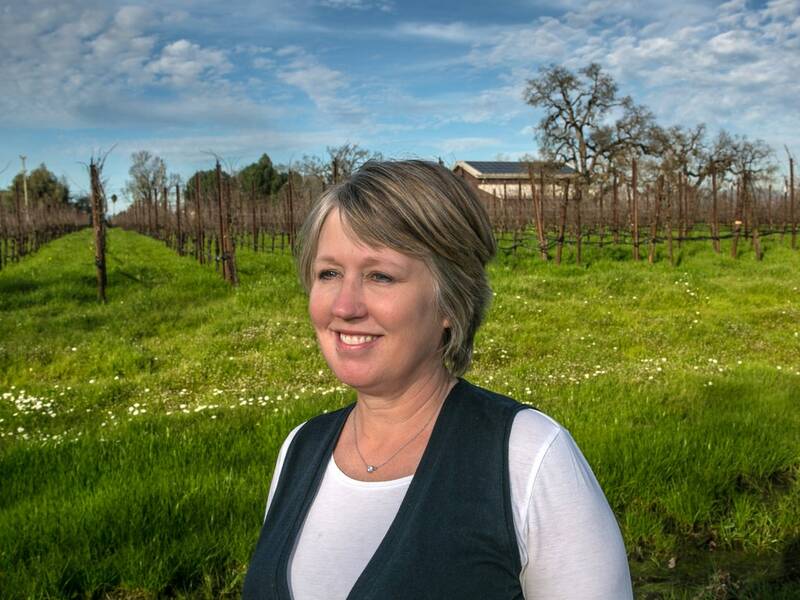 When Kathleen Inman, owner of Inman Family Wines in California’s terroir-rich Russian River Valley, wanted to commemorate her 20th wedding anniversary, she marked the occasion with a special 2016 rosé called “Endless Crush.” It was a departure from the typical saignée (or rosé-making) process: strongly structured, delicate, and sourced from organic fruit. It also came in a cheeky screw-cap salmon pink bottle, and it was full of flavor—strawberry, blood orange, watermelon rind, with hints of minerality. In winemaking terms, it was a decidedly New World approach. For Inman, it was all in a day’s work. 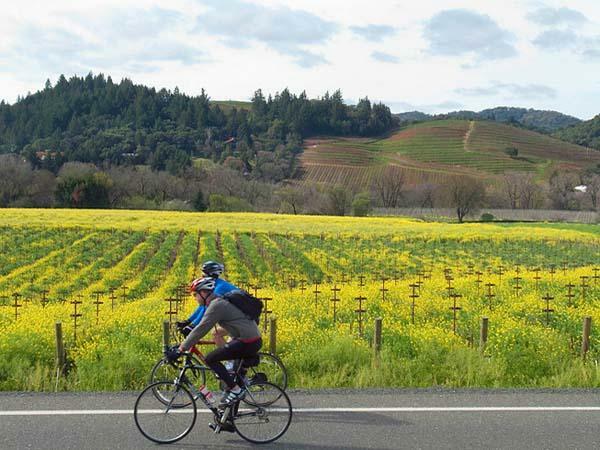 When it comes to cycling, Sonoma County is one of the best destinations on the planet. Other places may possess challenging routes that twist high into scenic mountains, but they lack a gorgeous ocean beside which bikers can tour for miles and miles. Some spots offer bike treks through wildlife-filled wetlands, but they probably lack meadows filled with spring wildflowers, straw-colored summer hillsides dotted with oaks, or easy trails through ranchland and vineyards along old railroad routes. Bodega Bay boasts a wide variety of stunning beaches along the Sonoma Coast. Explore Bodega Bay beaches from Arched Rock Beach to Wright’s Beach and everywhere in between.